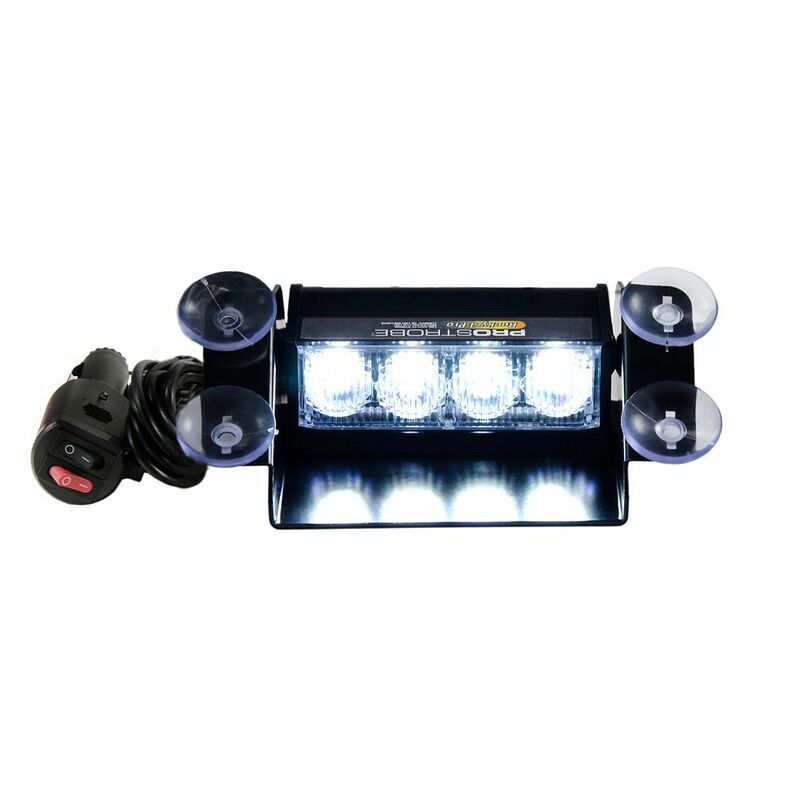 Rocky 4 Pro - White Four powerful LEDs strobe in varying patterns to provide almost any vehicle with road presence. A pivoting angle mount is secured to the windshield with four suction cups and a 3 ft. coiled cord extends to power the unit through any 12-24V unit. All metal construction ensures durability under repeated use and tough environments. Plug and play operation and easy removal make this an excellent choice for everyday safety.